Best Veterinary Volunteer Programs and Internships, Whether you’ve got a resume to pad out or you simply want to dedicate your vacation time to drastically improving the lives of abandoned, sick or injured animals, we’ve got the perfect program for you. Here’s a sneak peek of what’s on offer. Best Veterinary Volunteer Programs, Check out our awesome wildlife volunteer opportunities abroad! Are you hoping to develop a career in veterinary medicine? Or do you simply love animals and enjoy spending time with them? As you’re probably well aware if you’re thinking of becoming a vet, admission to veterinary school is extremely competitive. For example, in the US there are only 28 veterinary schools accredited by the American Veterinary Medical Association! From the moment you decide you want to study veterinary medicine, it’s important to start steering your resume in this direction with practical, hands-on experience. You could start at home, by finding a local dog or cat shelter and helping out on the weekends. You could also look for a Saturday job at a veterinary clinic, perhaps as a receptionist to begin with or volunteer vet assistant if you can. You may also like to contact any zoos, stables and wildlife rescue centers nearby to see whether they require a helping hand. Abundant and varied experience in animal care and wildlife conservation is as important as achieving good grades. Your veterinary studies will encompass many different topics, from small animal surgery to large animal medicine and from anesthetics to big operations – so you’ll need to show your ability to apply your skills to all animals in a number of different contexts. Here at A Broader View, we can provide a very different context indeed – how about pre-vet volunteer programs in countries like Costa Rica, India and Guatemala with sea turtles, elephants and street dogs? 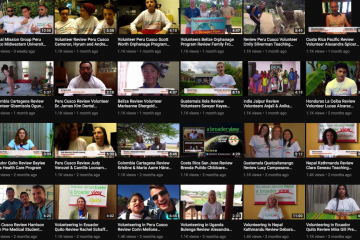 Whether you’ve got a resume to pad out or you simply want to dedicate your vacation time to drastically improving the lives of abandoned, sick or injured animals, we’ve got the perfect program for you. Here’s a sneak peek of what’s on offer. Unsurprisingly, our sea turtle conservation programs are hugely popular with aspiring vets and animal lovers from across the globe! Our sea turtle rescue volunteer opportunities range from secluded locations accessed by boat and 4×4 vehicles, to areas closer to town. Whichever program you enroll on, you will be monitoring and registering nesting patterns, moving eggs to the hatchery, freeing newborns to the ocean and patrolling the beach. Expect strange working hours (the middle of the night!) and plenty of beach time! 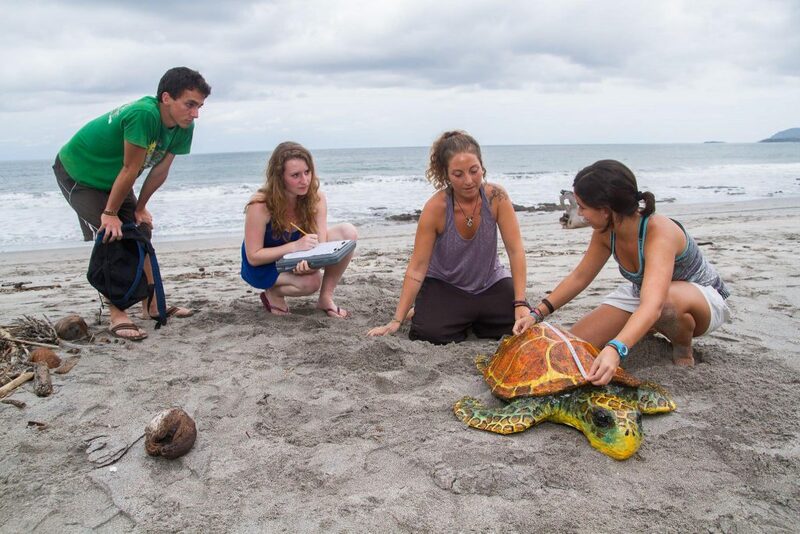 You can also sign up for our gap year sea turtle internship, where you will protect and conserve nests, and contribute to research that will help plan sustainable tourist activities. 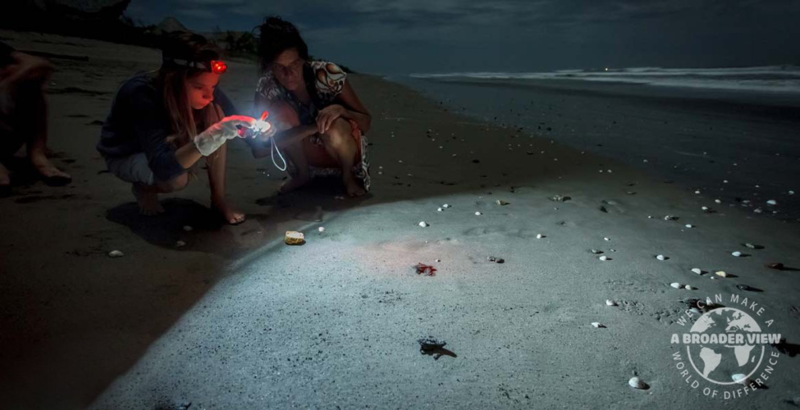 Immerse yourself in data collection and nest surveillance while learning about the biology of sea turtles and releasing newborns to the ocean. If you want to volunteer to save baby turtles, look no further – our Costa Rice program is turtle-y awesome! More of a land mammal? 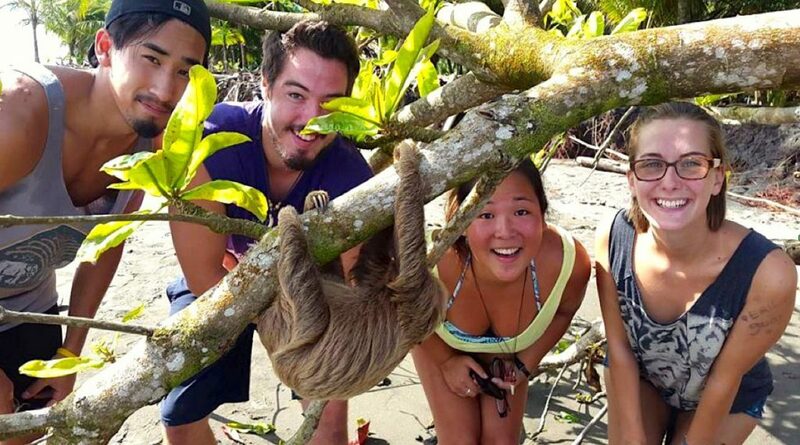 Check out our popular volunteer with sloths program! With its stunning biodiversity, it should come as no surprise that we can offer multiple animal care programs abroad in beautiful Costa Rica. Happily spending the majority of their time high up in the jungle canopy, sloths venture down to the forest floor just once a week. Because of this, they are tricky to monitor, which is why intensive research on these lovable creatures is imperative to the conservation effort! From researching behavior to raising public awareness, you will contribute towards the protection of sloths in a rapidly changing world. 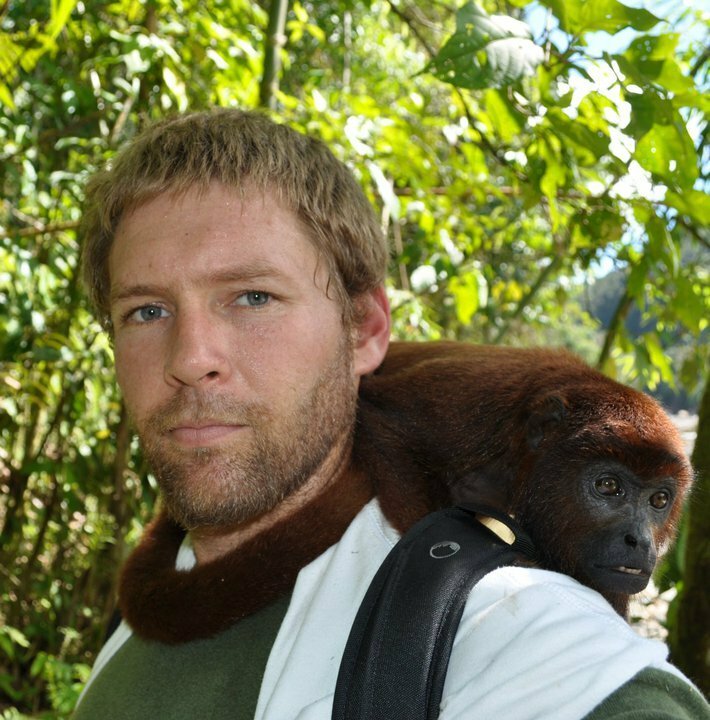 You may also have the opportunity to work with monkeys, raccoons, anteaters and sea turtles. 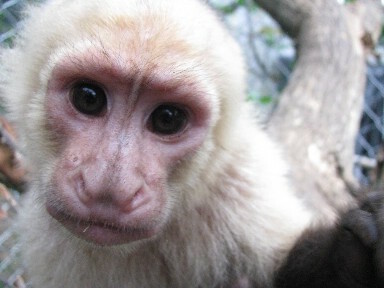 We also offer an international animal rescue volunteer program in Escazu, a hillside colonial town overlooking San Jose. Your role will involve welcoming visitors to the refuge, answering their questions and helping to care for injured reptiles, amphibians, mammals, and birds. 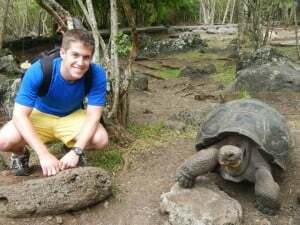 From tiny sea turtles to ancient giant tortoises, the remote and spectacular Galápagos Islands offer unique animal volunteer programs abroad. Based on Isabela island, volunteers will work on land turtle support projects and support conservation efforts, such as reforestation and eradicating non-native plants. This busy animal rescue center receives 500,000 visitors every year, and with 200 animals to look after as well, there’s never a dull moment in our volunteer animal shelter in Guatemala! Perfect if you’re seeking pre-vet volunteer abroad opportunities, students will have the chance to work directly with the veterinarian, making daily rounds and administering medication. 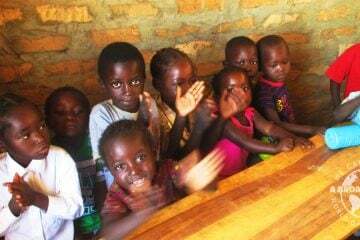 The center also requires general volunteers to assist with tours, food preparation and feeding of the animals. Dog volunteer work abroad differs greatly from working with dogs at home. Unfortunately many of the animals you will see during our dog rescue volunteer abroad programs have been mistreated, abandoned or suffer from disease or malnutrition. The good news is that we’re striving to make a change, and you can be part of the movement to educate people about responsible ownership, not to mention improve the quality of life for the many street dogs at our volunteer animal shelter in Argentina. Cleaning, feeding, walking, and training is all part and parcel of this program, which requires you to speak Spanish at an intermediate level. Similarly, you can make a huge difference to the lives of the 25,000 street dogs suffering from starvation and disease in Kathmandu, Nepal. Since more than 200 Nepalese people die every year due to contact with rabid street dogs, this unique animal sanctuary volunteer abroad program tackles this pressing issue in addition to providing shelter for stray dogs. If you’re seeking volunteering for students of veterinary science, this program is perfect because you can provide direct assistance to the onsite vet in terms of care, examinations, treatment and field trips. General volunteers may set their sights on the awareness campaign, reporting acts of animal cruelty and maintaining the grounds. Dedicate your time to dogs and donkeys at our volunteer veterinary hospital in Udaipur. The welfare center rescues thousands of sick and injured animals every year and cares for patients requiring lifelong care. A Broader View also has links with an animal welfare center in Jaipur, which couldn’t be more different to the shelter in Udaipur! The Jaipur center houses a huge variety of sick and injured animals including dogs, cats, cows, monkeys, rabbits, peacocks, eagles, parrots, pigeons and crows! Tasks include feeding, cleaning, administering vaccines, maintaining records, food preparation, educating locals about animal rights and motivating the locals to adopt. Alternatively, set your sights a little higher and enjoy an unforgettable experience learning about elephants at our volunteer elephant sanctuary in Jaipur. From making food bundles to trimming their nails, their caretakers (known as mahouts) can teach you everything you need to know! This is just one example of resume-enhancing veterinary volunteer opportunities for high school students and other aspiring vets. A medical school application discussing your ability to care for Indian elephants is quite impossible to ignore, and a letter of recommendation from an animal sanctuary in India could really make you stand out from the competition! Not only that, but your knowledge of sloths, elephants, donkeys and more could become a valuable asset in the future when you graduate to private practice or an exotic animal specialist is required. Whether you’re looking for fur, fins or feathers, we can place you in an animal care volunteer program that matches your preferences and has the power to boost your vet school application. A Broader View alumni range from the ages of 16 to 82 and come from all over the world (to date we’ve had participants join us from 30 countries!). We’ve been up and running for over a decade and work hard to nurture our strong relationships with our global partners. We believe the best life lessons stem from hands-on work and experience, and we aim to make this experience as affordable as possible. While we can’t offer to volunteer with animals abroad for free, as a registered charitable non-profit organization, US taxpayers’ program fees, and related travel expenses are tax deductible. If you’re not a US citizen, don’t worry – find out how fundraising can cover the cost of your trip.